Should a church provide wheelchairs for the congregation and visitors. In general, the answer would be no. Because most people who need wheelchairs have them. There are problems that come along with equipment, see below. However, sometimes the circumstances dictate otherwise, such as emergency evacuation. So, if the church has decided through its risk assessments and access audit that wheelchairs are needed the advice is that the items are purchased 'New'. It is, to be sure, more costly than donations of such equipment, however the chairs fall under the Provisions and Use of Work Equipment Regulations 1998. A failure of the equipment during use could render the church open to a claim, also criminal action by the Local Authority Enforcement Team (though less likely than a claim). As for evacuation; the church needs a written plan which would include Personal Emergency Evacuation Plans (PEEPs) for each person known; these would identify who should do what in an emergency. Yes, some wheelchair users do just pop-up when they are not expected. Well let’s celebrate the new face, and not get panic stricken, good access audits, and open PEEP’s, will get around this. Open PEEP’s are those written with a fictitious person in mind – the what if questions. The answers to these are vital in the planning for emergency evacuation, and training of wardens and sides persons. The from the Department of Work and Pensions (DWP) will be announcing that last November a cap on benefits cap has been reduced, or cut, £26,000 to £20,000 (or £23,000 in Greater London) last November. It would appear that the reduction on the cap is even lower for single adults with no children that being: £13,400, and £15,410. As many of you will know the coalition Government, under David Cameron, attempted to reduce the cap thereby forcing some claimants into work. As someone who is fortunate enough to have a good disability pension through my employer, I certainly worry, a great deal, for the many who are being subjected to these financial restrictions. It is the system for assessing disability claimants that must be reviewed, not the wholesale reduction of benefits which affect those most in need. Less than 50% of claimants actually see a medical practitioner. It is not their fault that the DWP has failed to do its job under the current, and most recent Government’s. So, a broken system is now the cause for a Government going after those in society who are ‘broken themselves’. Please pray on this issue, and if you feel so inclined complain to your (new) member of parliament. In our churches, we have a duty under the Health and Safety at Work Act[iii] to ensure that we do everything reasonable to ensure the safety of everyone who attend our church, and those that use it for other purposes, such as weekly clubs. [iv] Many of our churches now have catering facilities either in the church or adjacent buildings. Health and Safety law applies fully to places of religion! Let us not forget that we have a duty as Christians to share this information with all in our congregations: so please feel free to share this post. “An unregistered gas fitter has been sentenced for illegally carrying out gas safety work at a rented house. Peter Knight, aged 67 undertook landlords’ gas safety checks at the house above a pub on Marlborough Street, Plymouth and extended a gas supply pipe to feed the pub’s kitchen despite him having no expertise in gaswork or being registered with Gas Safe Register. Knight convinced the house’s landlords he was registered to do the work by using a properly registered gas engineer’s company name and Gas Safe Register registration number on the gas safety records he produced for them. Although not specifically a church related matter I want to highlight the plight of 50,000 disabled people who have had their Mobility payments reduced by the Department of Work and Pensions. This means that those 50,000 people have lost their Mobility Vehicles; when I say lost I mean they have been taken off them. The criteria for this change was a reduction from 50 meters to 20 meters in the ability to walk. So, if someone who was on the scheme previously was able to walk up to 50 meters they lost out. Now many able-bodied people may think that is fare, however there are many disabled parking spaces well over 50 meters from journeys end for a disabled person. For example, many supermarkets will reserve disabled parking spaces, yet I see many that are well away from the main doors. Some may say get a wheelchair, but this is just another cost the majority of disabled people cannot afford. [More below] So, what is the disabled person to do if their mobility payment is reduced? Well they can appeal; however, the vehicle is removed well before the process begins; as such many people become housebound, or totally reliant on others to do their shopping, and assisting them to get from A to B. On top of this the caring UK Government has also reduced by £30.00 out of work disability benefits. [ii] This will leave them with £73.00 per week to live on, which is the same as job seekers allowance, although the Minister for Disabilities promised MP’s that other measures would be in-place to assist disabled people. Fare one might consider if the disabled person is out of work the same as anyone else. However, it is estimated that the average disabled person is £550. per month worse off than an able-bodied person. [iii] Yes £550. per month it is not a typo. Now you will see that income and need for additional costs of disability do not stack up against the £73.00 per week. So, debt and poverty of the vulnerable becomes a reality in the twenty-first century Great Britain. This is of course whilst the pay gap increases and those that created the recession do not have to worry about the next meal, or a roof over their heads. This is a shocking state of affairs, and one that is getting worse by the day. The sense is this Government has little sympathy for disabled people; and would rather use the bullying tack to force people who cannot work to try and find work. It is a delusion. If you cannot work, you cannot work – I am living proof of this. So what can the church do? Pray, and continue praying for disabled people and a Government that does not care. Also raise this with your MP, the church militant!! What difference will Brexit make to disabled people in the UK? On face value things one would imagine that things would stay as they are; but we may be completely mistaken in this assumption. A great deal of today’s equality laws is based upon EU directives and European Court of Justice judgements, not on a caring UK Government (see below). So, disabled people need to be aware of what may lie ahead. In the House of Lords the cross-bench Baroness Jane Campbell stated recently that she and fellow peers must be “highly proactive”, particularly noting the current Government’s wish that parliament should have little to do with Brexit. So she has warned that peers would need to be a “vigilant watchdog” as the negotiations take place. [i] She seems concerned that a correct process may lead to secondary legislation that may “bypasses proper parliamentary scrutiny” and disenfranchise millions of disabled people in the UK. The Committee has taken note of concerns raised by the Equality and Human Rights Commission. [viii] The Government does not believe that it is in breach of the Convention, but then again it wouldn’t would it. Being a priest in the Church of England I have seen many colleagues made ill by the high demands on their time, and own spiritual needs. As a self-supporting-minster (SSM) I have, in my earlier days in the role, attempted too much and felt the pressure of balancing Church, family and my full-time career too great. Do not make the mistake of thinking in the context of this post that a little stress is good. This post is concerned with those ‘stressors’ that create in the person a state of ‘distress’, and all of its associated problems. Broadly this post considers the issue of stress and the possible failings of a loving church. Now before everyone jumps with shock at the above insinuation I write not accusing any particular church in general, but rather their failing to understand! If you are asking why in a Blog dedicated to disability is this issue being raised then, as you will read, it indeed lead to disability through mental illness and more. Who this is aimed protecting at is ‘everyone’ giving their time to a church, not necessarily the ordained ministers, or paid lay workers. Though one should note that in the case of the President of the Methodist Conference v Preston[i] it was held that Ms Preston, an ordained minister, was not an employee but rather an ‘Office Holder’; which echoed a previous case that also came before the Courts. [ii] As this is not aimed at the conversation regarding who is employed or not I shall move on. If a Church body makes the mistake of thinking that as an office holder health and safety law, (in particular in this post ‘health) does not apply then they are wrong. Although the sections of the Health and Safety at Work Act 1974 (HSWA74)[iii] may not apply to office holders, section 3[iv] most certainly does, as it does for all people supporting churches week in and week out.. This section is not reliant upon employer-employee status; instead it requires that the employer (the Church) conducts risk assessments that are suitable in that they cover the risk they aim to deal with. And, sufficient in that are detailed enough in the circumstances. If one takes into account the Health and Safety Executives information on its web site,[vii] then there should no doubt about the need for such an assessment; not just for the clergy, but for all of God’s children serving our churches. [iii] HSAW74 (Ch.34) In particularly Section 2; General duties of employers to their employees. [iv] HSAW74 Section 3. General duties of employers and self-employed to persons other than their employees. Cite this article as: Fr. Jeffrey A.Leach.OSP, " Less Stress, a better ‘Service’. The need for suitable and sufficient Risk Assessment of stress. 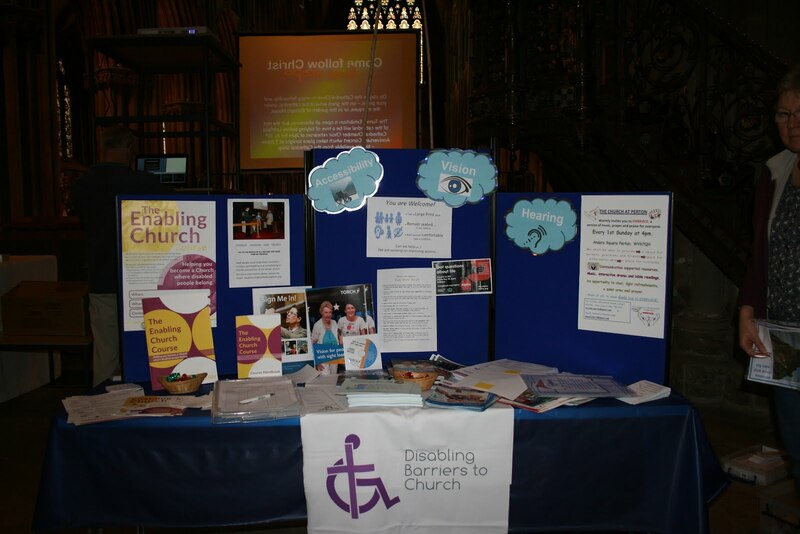 This is not a post directly related to disability and inequality within churches, but rather one that will affect many people who attend church. Thus I have decided to post it for you to share with everyone in your parish who may find the information of use. For passengers who can get out of their chair and into the vehicle then the driver must secure the disabled persons chair, and any luggage for them. [iv] The legislation also says that the driver should; “give the passenger such mobility assistance as is reasonably required.” [v] How this sits next to the safety of the driver is confusing and unclear, especially if a driver is injured helping the person? Finally a disabled person must not be charged more for their journey just because of their additional need. [i] 2017 No. 107 The Equality Act 2010 (Commencement No. 12) Order 2017 which brings into force sections 165 and 167. ‘disabled’ people. This can lead to them never returning and wore still feeling that God’s church in general is not a Loving and Welcoming place. and homes that have more specific needs wet rooms may be required.